WWF has cautiously welcomed a Sustainable Forest Management Policy (SFMP) launched today by Asia Pacific Resources International Ltd (APRIL), noting that a commitment to support forest conservation areas equal in size to its plantations sets a new standard for the pulp and paper industry in Indonesia. JAKARTA (28 January 2014) – WWF has cautiously welcomed a Sustainable Forest Management Policy (SFMP) launched today by Asia Pacific Resources International Ltd (APRIL), noting that a commitment to support forest conservation areas equal in size to its plantations sets a new standard for the pulp and paper industry in Indonesia. Under the new policy, APRIL will from today establish a moratorium on clearing in concessions where there has not been independent assessment of conservation values. The company and its long term supply partners will complete plantation establishment by the end of 2014 and will support a pilot study to help develop industry accepted methods for evaluating and protecting High Carbon Stock (HCS) forests and peatland areas. But the policy also allows for APRIL to utilize wood from tropical forests in its mill until the end of 2019. 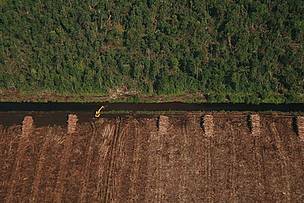 WWF is urging APRIL to become a 100% plantation fibre company in 2014, warning that without robust processes and independent monitoring high value and high carbon forest material could continue to leak through this loophole into the pulp mills. Likewise, while the carbon stock assessment study is welcome, it should involve all relevant stakeholders and APRIL should apply the precautionary principle and protect all likely HCS areas until an industry standard is final. WWF also appreciates the commitment of APRIL to establish a Stakeholder Advisory Committee (SAC) and welcomes APRIL’s invitation to be part of this. WWF hopes the SAC becomes a credible and independent group to continuously engage the company in the effective implementation and strengthening of its policy. Assessing the APRIL plan against requirements set in the milestones by the Environmental Paper network (EPN), WWF welcomed APRIL’s commitment to support forest conservation areas equivalent to its plantation areas. “This commitment introduces a new chapter in the move of the Indonesian paper industry towards sustainability that should be followed by other companies,” said Aditya Bayunanda, WWF Indonesia Forest Market Transformation Leader. "WWF calls pulp and paper buyers to observe closely independent monitoring and civil society assessments as proof of compliance by APRIL to these commitments." 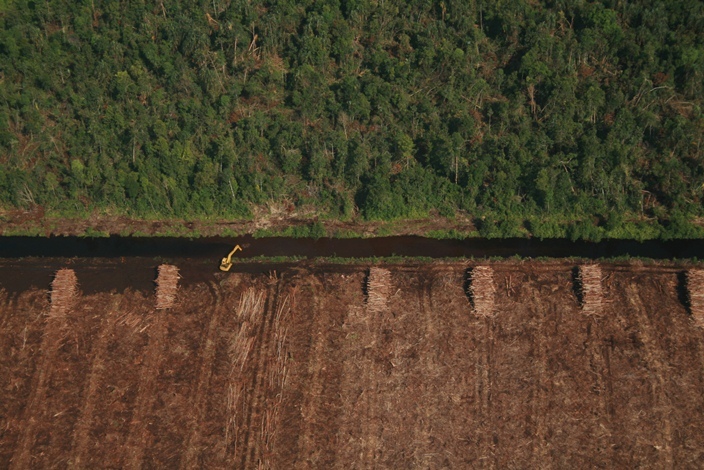 WWF is also joining with the World Business Council for Sustainable Development and others to urge that APRIL’s owner, the Royal Golden Eagle (RGE) Group, implement similar policies over other business entities involved in pulp and paper and other industries associated with high levels of deforestation. WWF is one of the world's largest and most respected independent conservation organizations, with over 5 million supporters and a global network active in over 100 countries. WWF's mission is to stop the degradation of the Earth's natural environment and to build a future in which humans live in harmony with nature, by conserving the world's biological diversity, ensuring that the use of renewable natural resources is sustainable, and promoting the reduction of pollution and wasteful consumption. panda.org/news for latest news and media resources.